The 12th Workshop on Antarctic Meteorology and Climate, as well as meetings for the Year of Polar Prediction in the Southern Hemisphere (YOPP-SH), the Southern Ocean Regional Panel (SORP), and the Scientific Committee on Antarctic Research (SCAR) Operational Meteorology in the Antarctic (Op Met) Expert Group will take place at the National Center for Atmospheric Research (Foothills Laboratory, Rm. FL2-1022) from June 26–30, 2017. Below are summaries of these meetings. There is a registration fee of $145 (USD) for this workshop. If you would like to attend, please register through the "Registration" tab above. Dinner: Tuesday, June 27th, 6:30 p.m. The dinner will be held at BJ’s Brewhouse and Brewery, 1690 28th St., Boulder, which is about a 10-minute walk from the Millennium Hotel. Please ask for the “NCAR” group upon arrival. We hope you can join us! Icebreaker: Sunday, June 25th, 6:00 p.m.
For attendees in Boulder on the evening of Sunday, June 25th, an informal gathering will be held at the outside patio bar of the Millennium Hotel. This will get going at about 6:00 p.m. on June 25th. There is a bar there, and food is available from the hotel restaurant. All are welcome to stop by and meet other workshop-goers! There is no registration fee to attend the YOPP-SH Meeting. However, if you wish to participate, please sign up via the "Registration" tab above. Those interested in presenting at the YOPP-SH Meeting are encouraged to submit a request for an oral presentation. This may be done through the “Registration” tab. There is no registration fee to attend the SORP Meeting. However, if you wish to participate, please sign up via the "Registration" tab above. We are soliciting oral and poster presentations for the Workshop on Antarctic Meteorology and Climate. Authors are strongly encouraged to write extended abstracts and to provide those for a workshop preprint volume. To indicate an oral or poster presentation and submit and abstract, please do so through the "Registration" tab above. We are also soliciting oral presentations for the YOPP-SH Meeting. To indicate an oral presentation, please do so through the "Registration" tab. Please go to the “Registration” tab to register for the workshop and meetings or to submit all abstracts. The Physical Science Group of the Scientific Committee on Antarctic Research (SCAR) and the International Commission on Polar Meteorology (ICPM) of the International Association of Meteorology and Atmospheric Sciences (IAMAS) have provided funding to support the participation of graduate students (M.S. and Ph.D.) and early career scientists (within 5 years of graduation of either Ph.D. or M.S.) in the 12th Workshop on Antarctic Meteorology and Climate. Support can cover the registration fee of $145, hotel accommodation, and airfare. Depending on the number of applications received and their merit, partial support may be awarded to some or all applications. 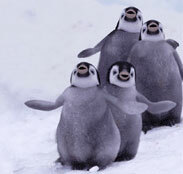 Preference will be given to under-represented groups and applicants from countries with developing Antarctic programs. Selections will be made by the Organizing Committee for the workshop. To apply: Send a short CV (1 page), a brief statement of the benefit to your career of attendance and how you will contribute to the workshop (1 page), and a budget for the support you are seeking. Send these materials to Dr. David Bromwich, bromwich.1@osu.edu. Receipt of applications will be acknowledged. Deadline (for receipt of applications): April 1, 2017. Awards will be announced by April 15, 2017. Successful applicants will pay for their justified expenditures and will get refunded later (up to the award amount) based on receipts provided. Things to remember: The funding is limited and applications will likely be very competitive. Please keep these factors in mind when completing your application, and make your best case for support. Presentations and extended abstracts will be published on our website for the workshop and meetings via links. If you do NOT want us to publish your presentation or extended abstract online, please indicate that when you register or when you provide the presentation/extended abstract. Separate, extended abstracts that are submitted for the 12th Workshop on Antarctic Meteorology and Climate will also be published in a preprint volume. If you want a paper on your talk to appear in the volume, it must be submitted as an extended abstract (not as the short abstract or talk title provided at registration). That page also illustrates a clear font for the text that can be used. As for the file formats for the extended abstracts, PDF files are preferred, although Word documents may also be submitted. Lengths of 6 pages or less are preferred. We encourage all poster presenters to provide us with an electronic (preferably .pdf format) version of their posters for posting to the website. They may be emailed to "kmarwitz AT ucar DOT edu". The registration fee for the 12th Workshop on Antarctic Meteorology and Climate is $145 (USD). The “Registration” tab provides payment information. There is no registration fee for either the YOPP-SH or SORP meeting, but please register so we know how many people want to attend. The organizing committee for the Workshop on Antarctic Meteorology and Climate is as follows.